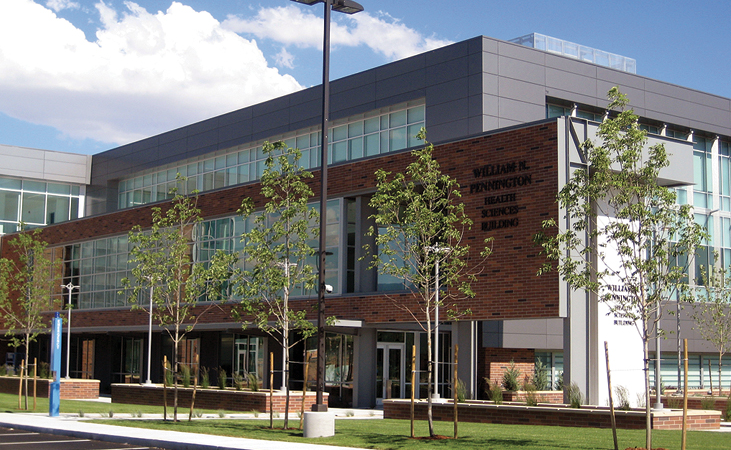 Pennington Health and Science Building houses Pennington Medical School, which is the only public medical school in the state of Nevada. It is one of the most cutting edge facilities in the state with a large open floor plan and bright windows to encourage a productive and collaborative learning environment. The complex Houses 400 Medical students and 10,000 square feet of the building is dedicated to the nursing program. The research complex contains both wet and dry laboratories and an anatomy lab that contains room for about 120 students, three simulation labs, and an interdisciplinary lab. Located near the brand new Center for Molecular Medicine, Pennington Medical is the hub of all this research activity. The entire health science campus includes four other related health centers within close proximity. Biotechnology Calendar, Inc. has been producing events on campus at the University of Reno in Nevada for six years now. This is the first time the showcase will take place at the Pennington Health and Science Building. Researchers and Laboratory service and supply companies are invited to attend the Front Line Event at UNR on June 4, 2012.